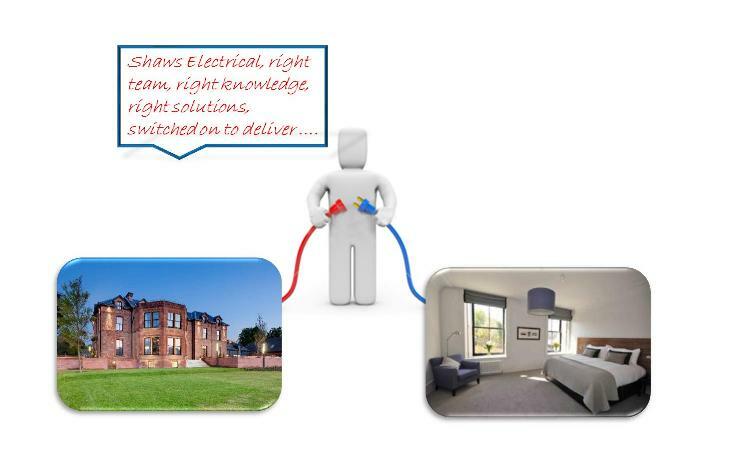 Welcome to Shaws Electrical Engineers Ltd – a family run commercial and residential electrical business with over 75 years of combined electrical expereince. Owned and managed by Managing Director William Shaw from their Glasgow base, Shaws Electrical have the ability and experience to cover contracts UK wide. We provide install services, alterations, power wiring, testing, repair and fault finding amongst others and offer a wide range of specialist services. Our wide client base is testimony that our personalised approach, quality workamnship and value for money helps create friendly and lasting relationships.